Since I finally got the barbecue going, I have suddenly been looking for new and exciting things to barbecue. 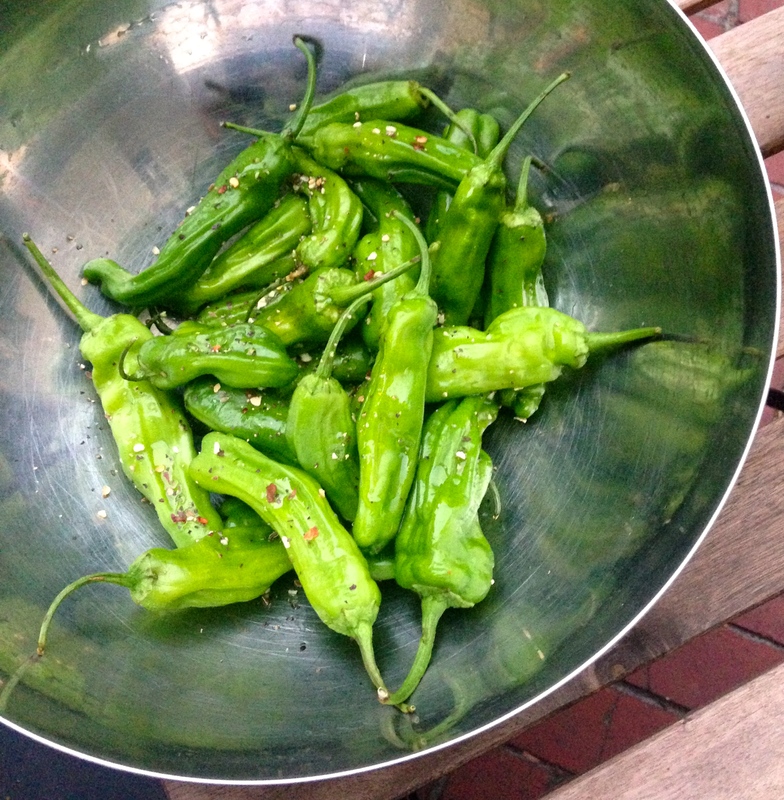 For example, these delectable shishito peppers. With only a slight natural kick, tossed in olive oil and Montreal steak space, they are fab! Barbecued so that the outer skin is charred just so and topped with a pinch of fleur de sel, I served it with a side of lightly herbed aïoli, yum!